Items sent to HAI must be carefully packed in original or comparable packing. These packages should be in sturdy cartons with suitable shock-absorbing material. Items should be marked “Fragile”on the exterior of the carton. Aircraft instruments and accessories are extremely fragile, even if inoperative. Always handle the items like eggs. Failure to do so may result in a voided warranty or a damaged shipment. All shipments must be sent prepaid. HAI does not accept any C.O.D. shipments on items sent for work to be performed. When shipping the item, please provide details of manufacturer’s name, part and model numbers, serial numbers, malfunction, and requested action. Specify contact information and return shipping method. HAI will insure all items for their replacement value and charge to the client’s invoice or freight carrier account unless waived by the client in writing. If any shipment from HAI is received with shipping damages, please notify HAI and file a claim with the carrier immediately. 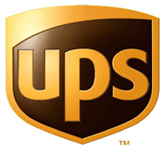 To minimize handling damage, ship via Federal Express, UPS, DHL, Air Freight, or other similar commercial carrier. 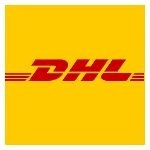 HAI discourages the use of Parcel Post.